Exclusive breaking news: In the UK Squirrl.com launches today. Squirrl provides an online finance platform for well established commercial organisations (Suppliers) that have a business model where assets are provided to their customers and paid for over a period of time through Pay for Use Agreements. Examples are the motor industry, industrial machinery, office equipment etc…. If this type of organisation has no other financial arrangements it must pay for the assets at the start of the contract, and only receive its money back over the life of the agreement. Few commercial organisations can suffer the impact of this negative cash flow, yet customer demand for this service model is growing. 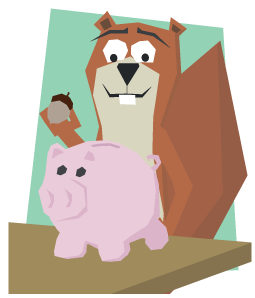 Investors using the Squirrl.com platform can lend money to this type of Supplier in return for higher interest rates than they would get from the high street banks and have their loans secured. Lenders can lend as little as 25 GBP (approx 40 US$). Aside from a one time identification fee, Squirrl currently does not charge lenders any fees (but in the T&C there are terms for fee structures, so fees may be coming later). Loan terms range from 3 to 5 years with repayments are conducted quarterly. Squirrl has a secondary market allowing lenders to sell of their loan parts to other lenders. Supplier offers are auctioned with lenders bidding either on auctions that close on 100% funding or time auctions where the interest rates are falling if more bids come in than the asked loan amount. Aside from the fact that loans are secured by assets, Squirrl has multiple further measures to reduce risks for lenders. For example lenders do not bid on loans that finance one single asset but rather on loans that finance 20 similar assets. An example could be a loan to a supplier that finances 20 printers for 20 government schools. Each portfolio is given a risk rating which ranges from 1 for low risk (such as schools, health care and other public sector agreements) through to 7 for higher risk (such as small businesses agreements). Squirrl.com initially accepts only the lowest risk levels (1, Public Sector and 2, Major Listed Public Companies). The risk rating of the portfolio, rather than the Supplier, enables lenders to make an informed decision as to how secure invested money is. A feature of Squirrl.com is the ability to select an “interest group” to support. These are linked to the risk rating so for example a portfolio may be based on education or health, or any other defined interest group. Digging into it, the Squirrl concept is complex. While there is lots of information on the site provided, the concept might be still hard to grasp for new users. 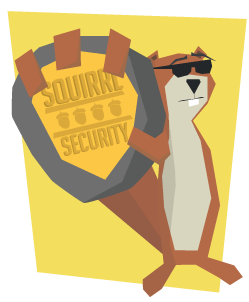 To make it easier the Squirrl team came up with a cartoon like storyboard where cuddly squirrels lend to the beavers (suppliers) which give equipment to the owls (customers). Squirrl.com is a promising new entrant in the p2p lending market. Backed by large Danwood Group Limited as first supplier, Squirrl does not face the hen and egg problem other marketplaces had at launch. With now three parties involved in the loan (lenders, suppliers, customers of suppliers) there is considerable complexity added but it looks like the model will be able to generate a win-win-win situation. It will be interesting to watch the development of Squirrl. I am preparing an interview with Sophie Coles, Squirrl’s Director of Business Development. It will be published in a few days on P2P-Banking.com. Look forward to some interesting answers.